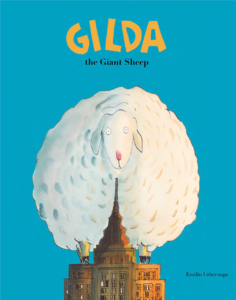 Gilda is a giant sheep who has been providing the farmers with lots of wool and milk until one day they want to get rid of her. Gilda is forced to run away from the mountains and arrives in the city. Will she make friends and be able to start a new life? This entry was posted in Picture Books and tagged Emilio Urberuaga, NubeOcho on April 29, 2018 by sbarrouillet.